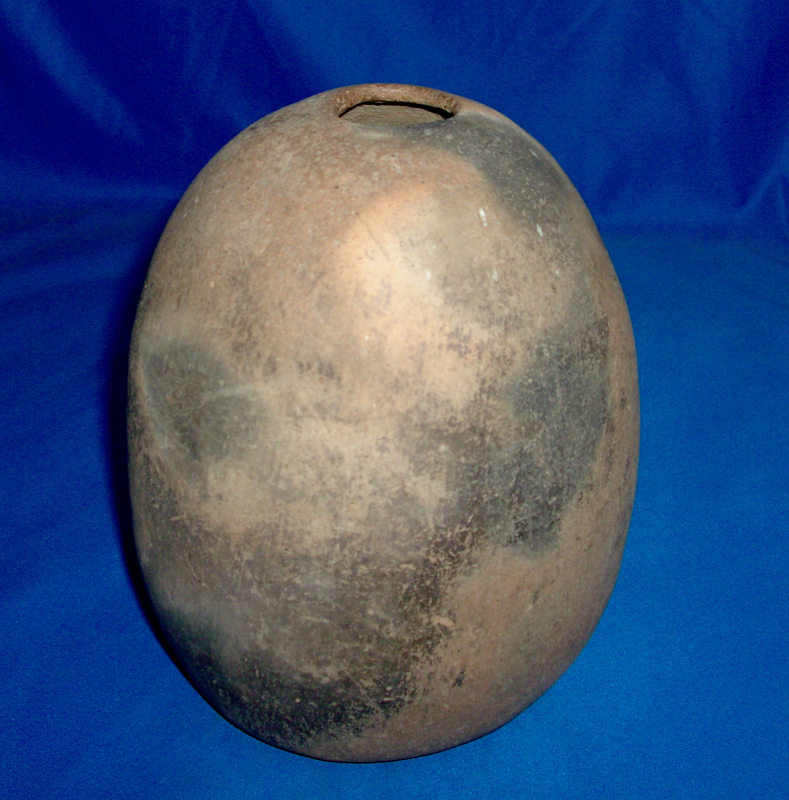 A Medium Size, Very Well Made, Caddo Seed Jar That Exhibits Surface Sheen And Clay Aging Coloration Patination, Aged Surface Shell Grog Deterioration, Visible Heavy Aged Bottom Use Wear, Visible Open Pit Firing And Firemarking, Overall Correct Shape And Hole, Correct Surface Burnish, Correct Type Material And Manufacture For The Area Found. Found On The Ouachita River, In Clark County, Arkansas. Ex-Dan Stroud Collection. This Very Nice Example Is In Solid Condition! Includes A Ken Partain Certificate Of authenticity!